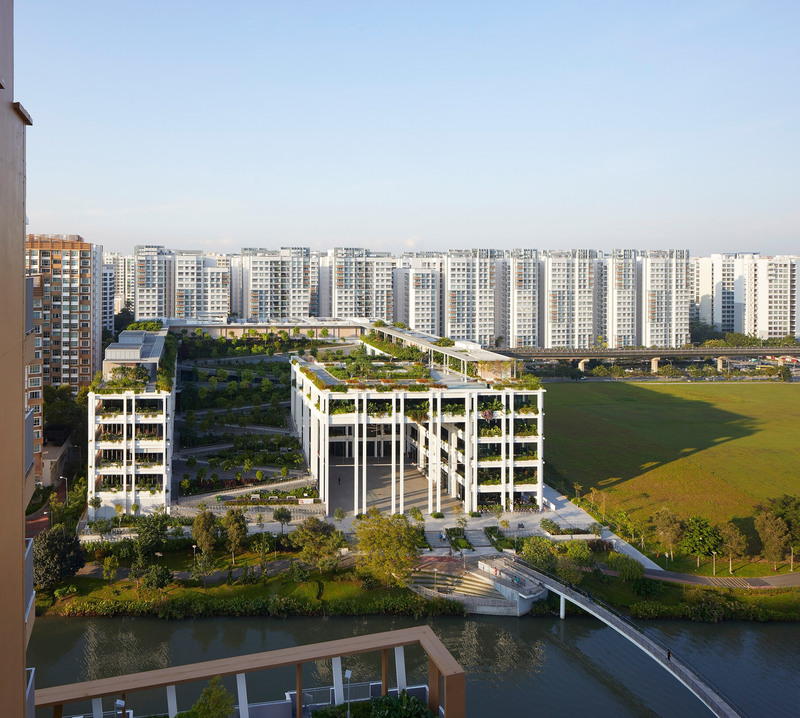 London-based Serie Architects worked with locally based office Multiply Architects to design Oasis Terraces for Singapore’s Housing and Development Board (HDB), which was seeking a new model for community centres to serve its public housing neighbourhoods. 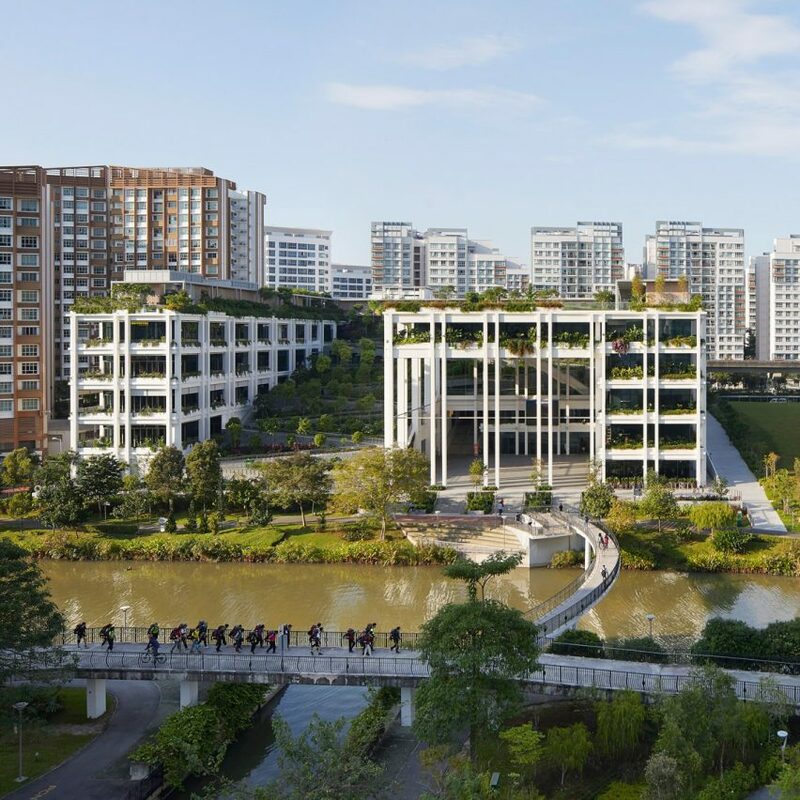 The structure’s open facades reference the design of the surrounding housing blocks and are intended to lend the building a sense of openness that emphasises its public-serving purpose. 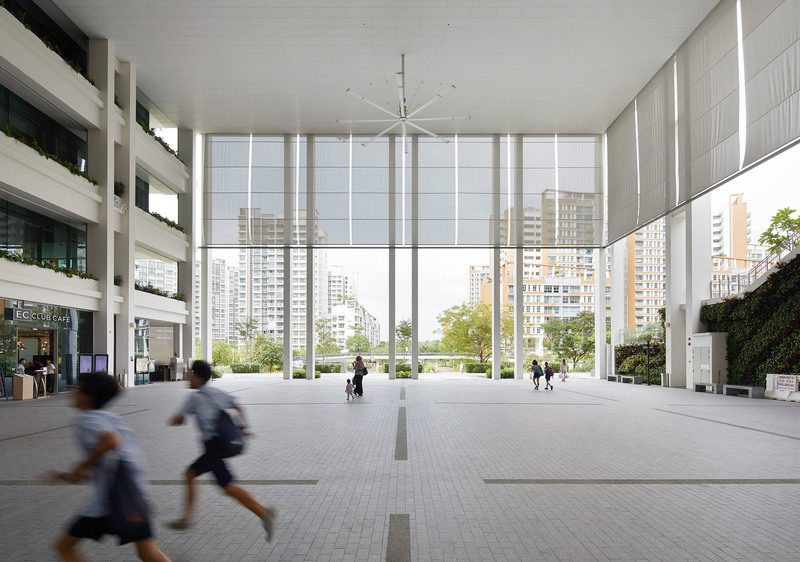 “Our design is informed by the open frames commonly found in the facades and corridors of the HDB housing blocks of the 1970s and 1980s,” said Serie Architects principal, Christopher Lee. 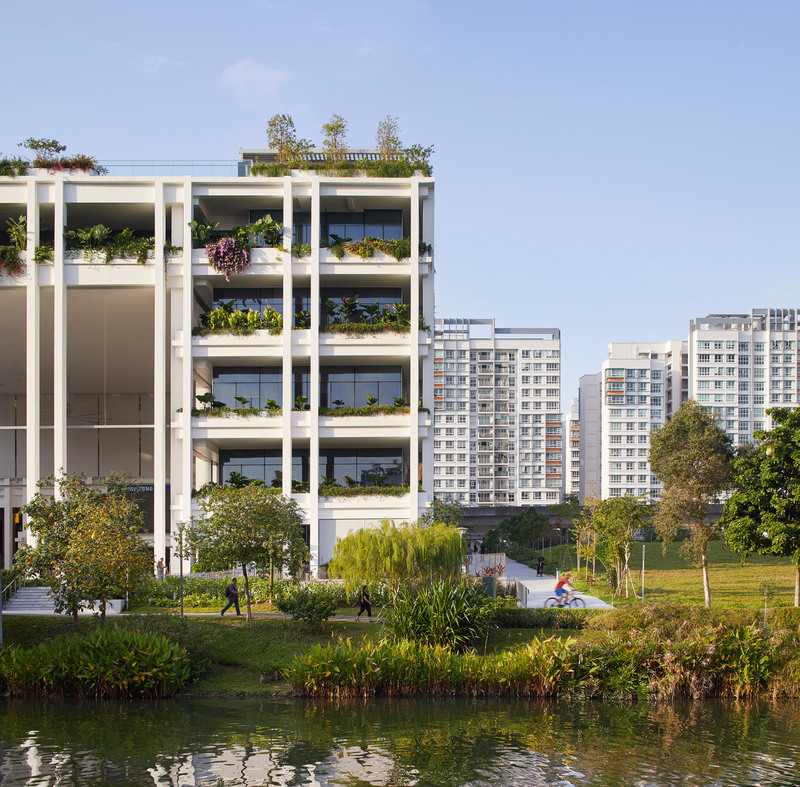 Some of the spaces including the restaurant and the clinic’s waiting rooms connect directly with the garden terraces, so diners can choose to sit outside and the clinic’s users can look out onto the greenery and water. 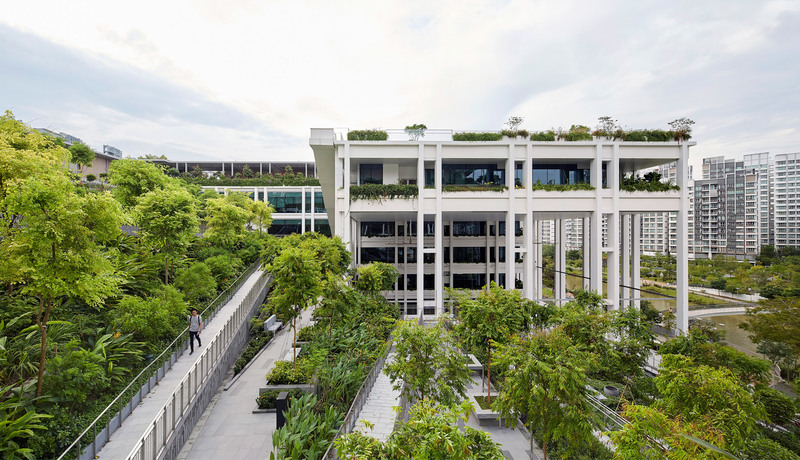 The building’s elevations and verandahs are covered with planting that creates an environmental filter between the exterior and interior spaces, whilst allowing daylight and breezes to pass through the open structure. 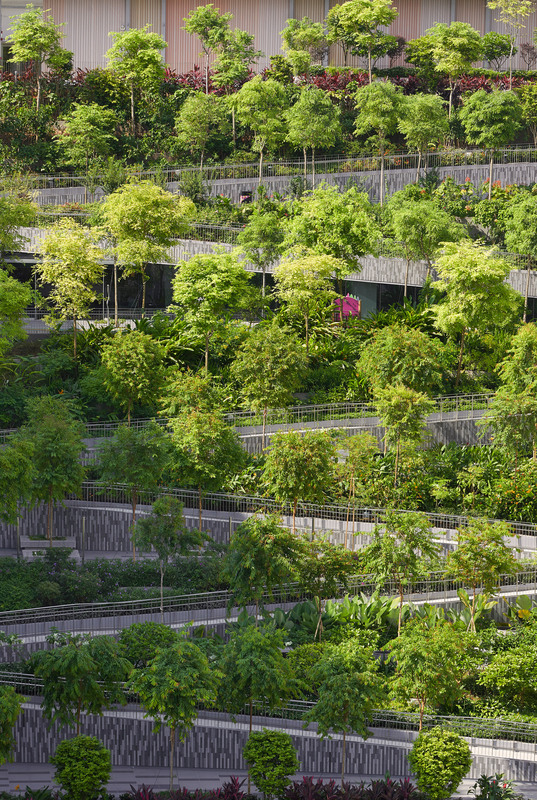 Extensive landscaping on the centre’s roof incorporates planting beds that locals can use for urban farming, which the architects suggested adds a further layer of social value. Serie Architects’ previous projects include an arts centre in Dubai comprising clusters of low-lying white aluminium boxes that is intended as an understated contrast to much of the city’s architecture. 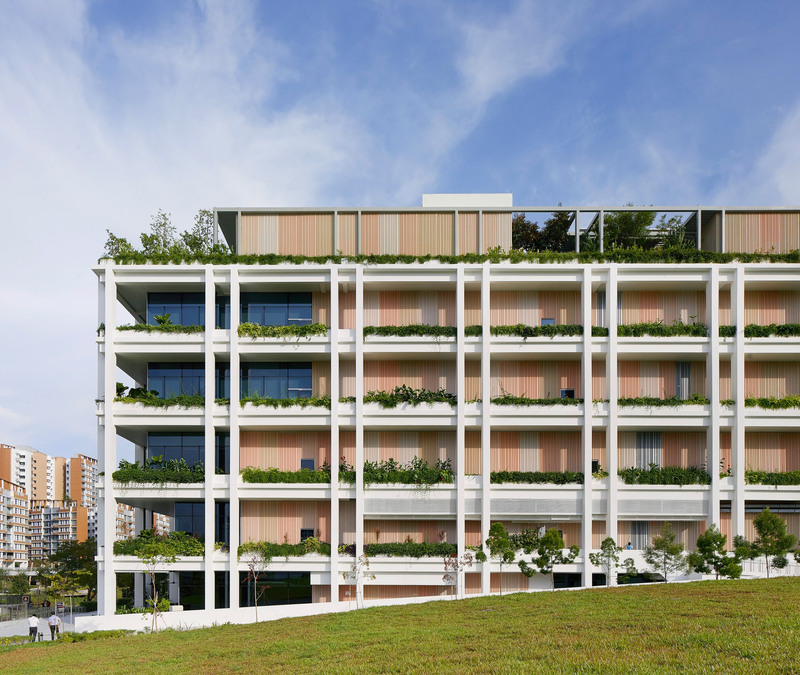 The post Oasis Terraces is a neighbourhood centre built around a stepped garden appeared first on Dezeen.